Me in my pre-Tripping The Kenyans days… rocking the froggy! Messy, but really really cute. I always tell people the reason babies are so cute is that they use this cuteness to trick you into taking them out of the hospital. And like driving a new car off of the lot, once you leave the premises… no returns. Now as my friends know (and my mother bemoans), I am unmarried and don’t have any kids of my own. I’m a pretty damn cool uncle if I do say so myself… I am saying so; if you ask my nieces, they’ll probably tell you I’m weird. Cool uncle-ness aside, why am I talking about babies? And especially why I am I talking about babies in a running blog? What could babies and runners possibly have in common? Last I checked, those little guys and girls can’t stand up yet, let alone run races. And no, this isn’t a weird segue into a post about poop… at least probably not. One thing you can do with babies though, is dress them up in really fun outfits, thereby exponentially increasing their inherent cuteness. That’s where Jessica and “Cheerbaby” come in. 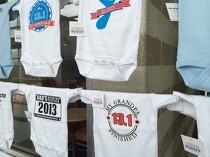 She’s created a company that sells motivational running garb for babies and toddlers. Their motto is “Tiny cheers for Big Moments.” And while I haven’t tried any of their stuff on personally (guess my onesie wearing days are over), they do have some really cute outfits. Click on the image below to check out their website. 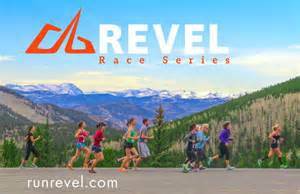 And Jessica wanted to let you know that Cheerbaby is celebrating August with a giveaway, as well as supporting Team in Training’s fundraising and creating a custom outfit for the REVEL Rockies Race. Click on the image below to read her blog and find out how to enter Cheerbaby’s contest (which runs until August 8th). Have a great rest of the weekend everyone… and Run on! Posted on August 3, 2014, in General and tagged CheerBaby. Bookmark the permalink. Comments Off on OH BABY!.